Watch an Exclusive Interview with Gary B. Born on the book: Click here. The first edition of International Commercial Arbitration is widely acknowledged as the preeminent commentary in the field. It was awarded the 2011 Certificate of Merit by the American Society of International Law and was voted the “International Dispute Resolution Book of the Year” by the Oil, Gas, Mining and Infrastructure Dispute Management list serve in 2010. 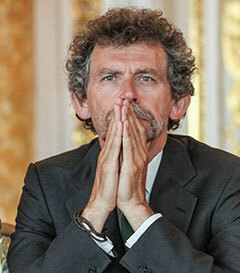 The first edition has been extensively cited in national court decisions and arbitral awards around the world. The treatise comprehensively examines the law and practice of contemporary international commercial arbitration, thoroughly explicating all relevant international conventions, national arbitration statutes and institutional arbitration rules. It focuses on both international instruments (particularly the New York Convention) and national law provisions in all leading jurisdictions (including the UNCITRAL Model Law on International Commercial Arbitration). Practitioners, academics, clients, institutions and other users of international commercial arbitration will find clear and authoritative guidance in this work. The second edition of International Commercial Arbitration has been extensively revised, expanded and updated, to include all legislative, judicial and arbitral authorities material in the field of international arbitration prior to January 2014. It also includes expanded treatment of annulment, recognition of awards, counsel ethics, arbitrator independence and impartiality and applicable law.The revised 4,000 page text contains references to more than 20,000 cases, awards and other authorities. Volume I, covering International Arbitration Agreements, provides a comprehensive discussion of international commercial arbitration agreements. 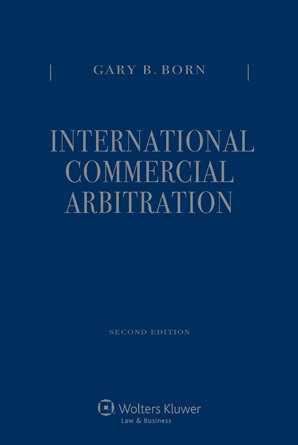 It includes chapters dealing with the legal framework for enforcing international arbitration agreements; the separability presumption; choice of law; formation and validity; nonarbitrability; competence-competence and the allocation of jurisdictional competence; the effects of arbitration agreements; interpretation and non-signatory issues. Volume II, covering International Arbitration Procedures, provides a detailed discussion of international arbitral procedures. It includes chapters dealing with the legal framework for international arbitral proceedings; the selection, challenge and replacement of arbitrators; the rights and duties of international arbitrators; selection of the arbitral seat; arbitration procedures; disclosure and discovery; provisional measures; consolidation, joinder and intervention; choice of substantive law; confidentiality; and legal representation and standards of professional conduct.